Sometimes we all need a helping hand. Convenience for you, quality for them. Created by parents and approved by nutritionists. 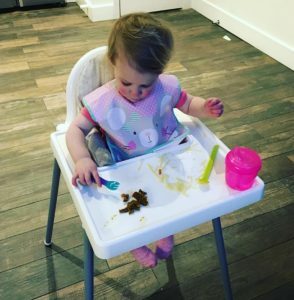 Logan’s Plate delivers fresh, wholesome meals for babies and toddlers. In an ideal world we’d be able to cook meals from scratch everyday. The shopping, washing, chopping and cooking takes time that we don’t always have. We offer the much needed convenience of a prepared meal without the compromise. All meals are made in small batches by hand using high quality organic ingredients. They’re as fresh as it gets without making it yourself. From fridge/freezer (not cupboard) to plate in minutes. 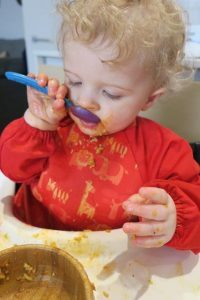 We teamed up with nutritionists who specialise in childhood nutrition to develop recipes that are delicious and contain the goodness little ones need to aid their growth and development. Big meals for mini humans. No subscription needed, just order as often as you want. On Tuesday we prepare and deliver your delicious meals. Deliveries are usually between 4:30pm – 8:00pm. This varies each week. Eat your meals immediately or chill/freeze for later. Absolutely loved his lamb curry tonight. Has got on board with rice and polished the lot off and wanted more!! All Essex mums, dads, nans, grandads, aunts etc etc! Please check out Logansplate, an exceptional family run business aimed at making our lives easier and our little ones lives healthier! 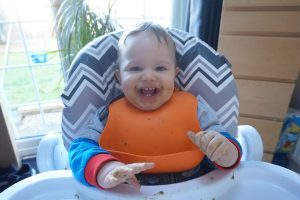 We are new to their foods but Cam is absolutely loving them and so am I! Such a fantastic idea that has already made a difference to my life since returning to work this month. The meals are absolutely delicious, I love the fact that they are handmade and delivered on the same day and that you can freeze any meals you need to as it helps with meal planning. The packaging is also recyclable and they reuse on collection which is another huge positive. Whether you are using purees or letting your little one lead the way. We’ve developed a range of flavours to support your little one on their journey.